Congratulations go to four members of the Rochester Diocesan community invited by Her Majesty the Queen to receive the Royal Maundy Money at St. George’s Chapel, Windsor Castle this year. The distribution of alms by Kings and Queens of England on Maundy Thursday is an ancient ceremony that dates from at least the thirteenth century. Recipients today are chosen for their service to the community and are nominated from across the dioceses of England, together with nominations from Scotland. Mr Bill Price MBE, Mrs Annette Morgan, the Rev Canon Ken Gardiner and Mrs Judy Rambridge were among the 92 men and women to receive the honour this year; the number of recipients relates to the years of the Sovereign’s life. All recipients receive two purses – a red and a white one. 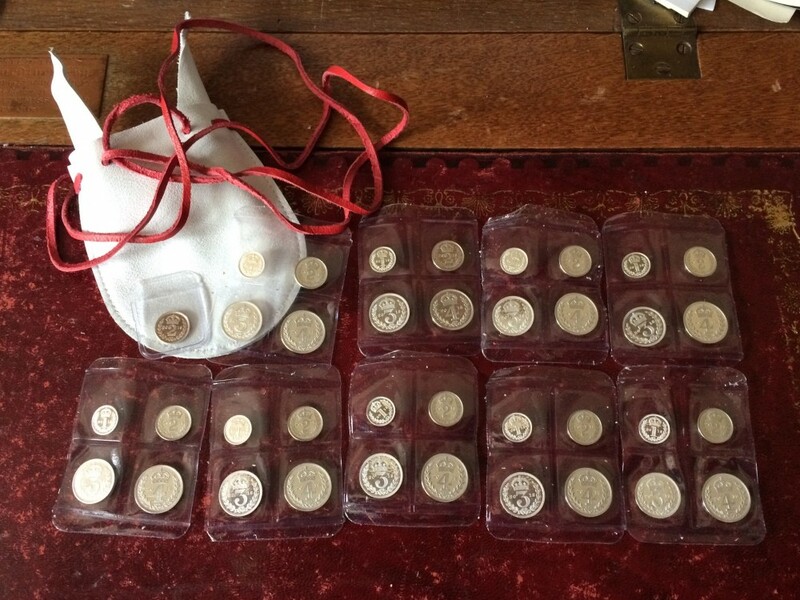 In the white purse, 92 uniquely minted silver Maundy coins are given to represent The Queen’s age. In the red purse, a £5 coin celebrating four generations of Royalty and a 50p coin celebrating the representation of the People Act 1918 to reform the electoral system, were distributed. The four local recipients, who come from across the Diocese of Rochester, were nominated for their dedication and service to God and others. The Rev Canon Ken Gardiner, who has been in holy orders for over fifty-five years, has served most of that time in the Rochester Diocese; this includes some time as Area and then Rural Dean of Rochester. Now retired he remains highly active in priestly service, supporting his local church, St Justus Rochester, and making himself available to churches in need. Annette Morgan has been a volunteer at the Cathedral for over 20 years. Over 10 years’ ago she became the Cathedral's first Pastoral Assistant and has been active in taking Holy Communion to the housebound during that time. Bill Price celebrates his 44th year as a Reader in the Church of England this coming autumn. As a Reader at Christ Church Bexley Heath, he still conducts worship and preaches on a regular basis. He’s also an advisor on Electrical and Mechanical Services to the Diocesan Advisory Committee for the Care of Churches (DAC) and is also involved in a number of charitable and educational institutions. Judy Rambridge has shown great commitment as a fundraiser to Welcare - a family-support charity – and is a key member of the Friends of St Mary’s as well as a faithful PCC Secretary.